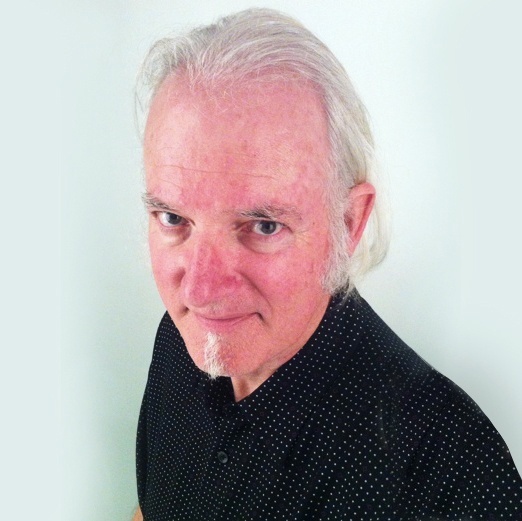 With the increasing challenges posed by FCC TV channel reassignment, the 600 MHz cell phone service rollout, and the increase of LED stage lighting and LED walls, wireless mic and IEM users will need to squeeze out every last drop of system performance to ensure reliable, drop free performance. This article will try to explain how out-of-band interference can jeopardize the performance of your wireless systems and what you can do to minimize it. Basically it is every signal picked up by your antenna that is not the signal from your intended transmitter. In other words it is stray RF interference, be it electrical motor noise, hash from your lighting and projection systems, assisted-listening system, security radios, comms and your other wireless mics and IEMs. Very soon it will also include an audience with new 600 MHz cell phones in their pockets and maybe signals from Microsoft Whitespace devices. Antennas aren’t smart and simply shove every signal they receive into the front end of your receiver which directly affects the noise floor which you are trying to overcome. The interference from a high noise floor is likely the single largest external factor affecting the range of your wireless mics. For your receiver to understand a signal it must be strong enough to overcome the background noise floor. If we're operating out in a corn field and away from the big city there is a good chance that your wireless mic may operate to more than double it’s 300’ manufacturer’s rating. But once your receiver has to overcome a steep rise in the noise floor expect a sharp dropoff in range. In typical urban environments, the noise floor can become so high that your range may drop to less than 25’. If the noise signals get strong enough they can saturate the front end of your receiver causing a loss of input sensitivity and driving the amplifier in the front end to run into compression. Definitely not a good day for wireless mic reliability. Since we can’t see radio waves it might be easier to understand using this analogy. Imagine you were trying to record the voice of a single person speaking. No problem, stick a mic up and press record. But now if the person we are trying to record is in the middle of cheering fans at a football game it might be impossible to pick out that single voice to the exclusion of the others. Your receiver faces the same challenges. Wouldn’t it be great if we had a way to filter out all or most of those screaming fans? Well that's a job for a bandpass filter (BPF). A bandpass filter is a simple plugin component used in the antenna signal path designed to let a desirable range of frequencies pass through while suppressing the frequencies on either side outside that range. The graphic above shows the effect of inserting the RF Venue 560-608 MHz Bandpass Filter between the antenna and the input to the Distro4 (note that a pair are required for diversity wireless mics). As you can see we are greatly reducing the load of unwanted signal the receiver must deal with while allowing the desired band (560-608MHz in this case) to pass untouched thereby improving the stability of the system. Now, for example, if we are running a number of IEMs in the low 500s while running a number of wireless mics in the high 500s, adding the BPF allows the mic signals to pass untouched to their receivers but block the signals from the ears since they are below the 560 MHz cutoff. This is also highly desirable from the standpoint of reducing intermodulation problems. Remember, we are protecting the wireless mics from interference from the IEMs and not the other way around. This also works the other way around if your mics are in the lower 500s while your ears are in the higher 500s. I should also note that the BPF is also blocking rogue RF from above 608MHz from interfering with our mics. Take that T-mobile! 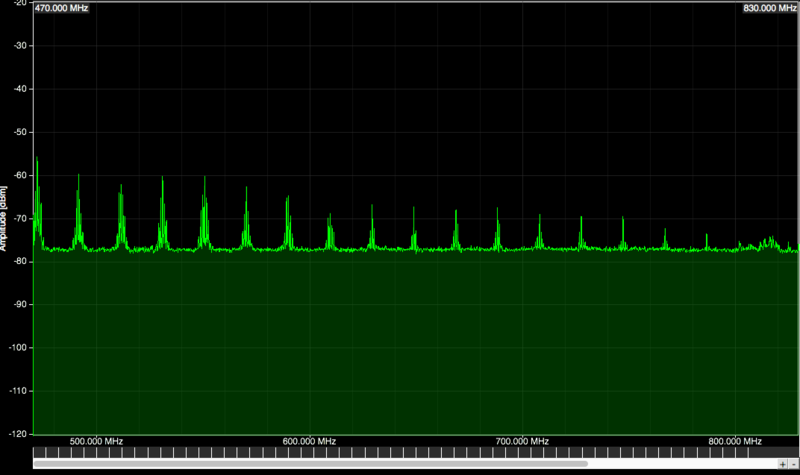 This graphic illustrates the nearly 40dB of side band rejection achieved when simply plugging in the RF Venue BPF. And picking the right filter is easy too. Just match the appropriate band to match the frequency block in which you are operating your wireless system. For even more extreme situations there are narrower filters available from other manufacturers that can provide more rejection. 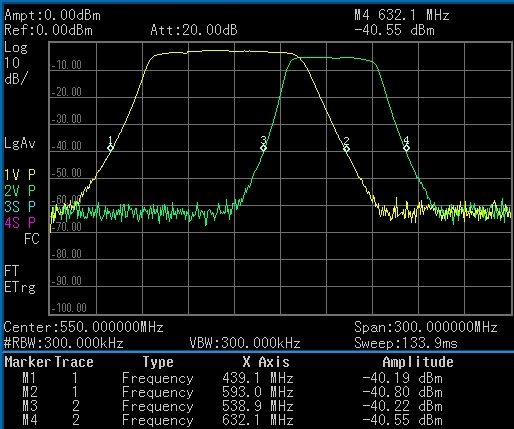 However the 50 MHz wide bandpass of the RF Venue filters allows you to use all of range your system is capable of. This allows a complete retuning of the system without replacing the narrow BPFs should that ever become necessary. 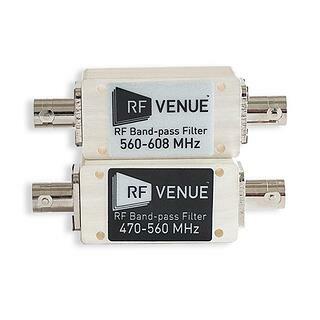 The RF Venue bandpass filters will of course work with just about any brand of wireless on the market. Just select the proper range of frequency. Here’s an easy chart to make it foolproof.